It was a difficult year for the Cygnets. 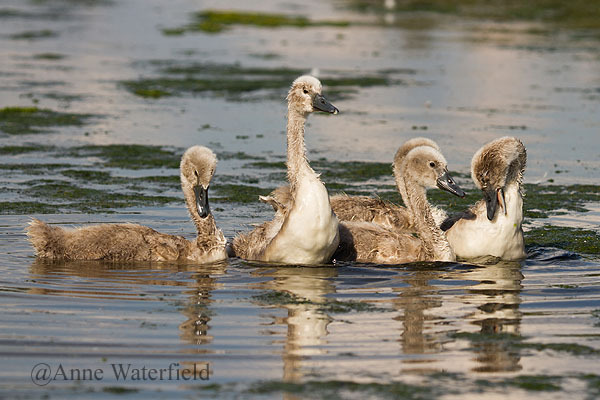 I watched the Cygnets from their hatching early June throughout to maturity and they really did have a hard time, a lot of the time they were left on the water for too long until their feathers became waterlogged. Doing their best to keep the feathers dry.